I love the Who's Online box on this site! How can I make mine more like that? I especially like the groups, how they each have a separate box. What codes can I use to do something like that? 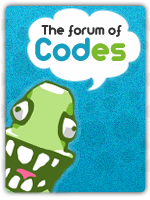 Which forum version are you using? Mostly the buttons behind the legend, under where it says 'Staff of the Forum'. You also need help ?